Two ancient giants that once roamed the area now known as Kansas have earned approval from the House to be designated as the state’s official fossils. Legislators voted 96-27 on Thursday to name the tylosaurus and the pteranodon (TEAR-un-don) as the official fossils. The creatures join the western meadowlark, ornate box turtle and bison as official state animals and reptiles. The tylosaurus was a large sea creature that hunted the ocean that covered Kansas more than 80 million years ago. 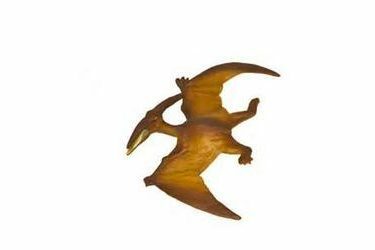 While it patrolled the waters, the pteranodon roamed the skies. Fossils have been found in the chalk hills in western Kansas. Examples of the tylosaurus are on display at museums in Hays and Lawrence. Supporters say the designation boosts the state’s tradition of being a paleontology treasure trove.